Well, the title above is not completely true but Kik Messenger somewhat did beat Whatsapp in the race for being a multi-platform messenger since they recently launched the app for Windows Phone 7. 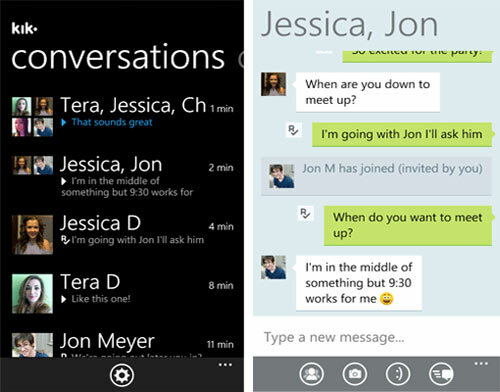 Whatsapp is still very quiet about this, so no one knows if it will ever be made for WP7. -Windows Phone 7, iOS, Android. 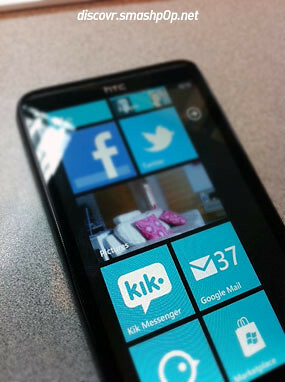 So this post is gonna be about Kik on WP7. Just like the version on iOS and Android, upon launching the app, we can see 3 sections in the canvas. Conversations, Contacts, and Profile. Once you are in a chat window, you can send text, smileys, photos and view conversation info. All these options are accessible at the bottom of the screen. Here are the conversation and settings screens. What I really love about Kik is the push notifications. When you get a new message, it will be shown at the top of the screen for like a few seconds. Then the number of unread messages will be displayed at the Kik Messenger Live Tile on the homescreen. 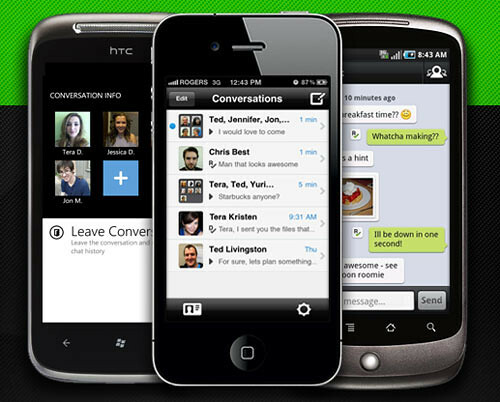 Get Kik Messenger from the Marketplace now! One Response to "Kik Messenger Is Out On Windows Phone 7! Beating Whatsapp in the Multi-Platform Messenger Race"
At the time I write this message, there’s a link for Blackberry users to download Kik for their phones. Simply go to http://kik.com/bb with Blackberry native browser, and the download process will begin. 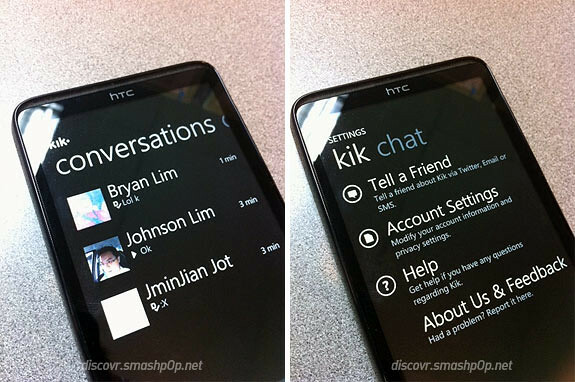 After Kik Messenger installed, Blackberry users can enjoy kik chat.